New FHA loan limits were created in 2008, which is good news for potential homebuyers, but many people don't understand the significance of these changes. Lisa Alley, a mortgage expert with Five Star Capital, explains what these changes to FHA loan limits means to consumers. What are the new FHA loan limits in 2008? The new FHA limits mimic the new conforming loan limits for each Metropolitan Statistical Area (MSA.) The office of Housing and Urban Development (HUD) released the new limits of each MSA based upon the median average home price in that area. These are determined by county. MSAs which did not have a median home value of more than $417K did not increase. However, other areas where the MSA is higher than $417K saw proportional increases. Some areas increased marginally, but some increased substantially. The maximum FHA loan limit anywhere in the U.S is currently $729,500. Are There FHA Loans for Manufactured Homes in a Park? Are 100 Percent FHA Mortgages Available? Why did FHA change the limits? The FHA limits changed as a result of the Economic Stimulus Plan that was passed earlier this year. The plan called for increases in Conforming Loans offered by the Government Sponsored Entities (GSE's) of Fannie Mae and Freddie Mac. Essentially, the GSE's increased their limits and FHA followed suit. Previous FHA loan limits just couldn't keep up with the explosion of the home market over the past several years. Now that we're experiencing a housing slump, the increase in FHA limits is a way of stimulating and rejuvenating the housing market. As has been well documented, the economy has taken a turn for the worse lately, and much of that can be attributed to the slowing housing market. When people stop buying homes, builders stop building homes, contractors lose jobs, even home retailers suffer. By implementing higher FHA loan limits, the hope is that buyers will come back into the market. FHA offers some great incentives for buyers, including low down payments and less stringent credit guidelines than conventional loans offered by Fannie Mae or Freddie Mac. Will this change affect applicants' chances of getting approved for an FHA loan? The limit increase shouldn't affect borrowers' chances of being approved. FHA loans have always required full income documentation, and have always had guidelines in place in regards to debt-to-income of borrowers. That's one reason why FHA loans waned in popularity of the past several years; because so many other loan options were available that didn't rely on full documentation of a borrower's income. However, we're in a very different lending climate now, so the full documentation and lower DTI are commonplace with many loan programs. The only borrowers who may still have difficulty obtaining FHA loans are self-employed borrowers who typically show less income due to business tax write-offs. What is the benefit of an FHA loan over a conventional loan? FHA loans allow for lower down payments on purchase loans. In some instances they only require that a buyer put 3% down on a loan. FHA is also more lenient on credit than conventional loans such as those offered by Fannie Mae. FHA loans are also accompanied by lower monthly mortgage insurance for high loan to value loans. Moreover, FHA doesn't recognize "declining markets" in the same manner as Fannie Mae. Consider that you want to buy a home for $500K. You need to borrow 95% of the money to purchase that home, so you'd need to borrow $475K. If you apply for this conventional loan through Fannie Mae for example, and they deem that the home is located in a "declining market," (area where home values are going down), Fannie Mae will automatically reduce the amount of loan they will offer by 5%. Now, the maximum amount that Fannie Mae will lend is 90% loan to value, or $450K. FHA does not follow this practice. The benefit is clearly then, that with FHA occasionally a borrower won't even need to bring in any of their own money initially. Why are the new FHA limits of 2008 such a hot topic? The modernization of FHA has long been in the making. The previous limits were so low that for many states, where the average home prices exceeded the FHA limits, FHA loans became obsolete. After many years of lobbying for this change, residents in higher cost states now have the incredible opportunities that residents of lower cost states have always had. That is, FHA has now leveled the playing field so to speak for residents nationwide. Quite simply, FHA offers some amazing programs for first time buyers and seasoned buyers alike, and now borrowers can qualify for them from coast to coast. It's about time, too! 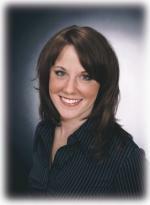 Lisa Alley is a Managing Partner and Mortgage Broker with Five Star Capital in Huntington Beach, California. A ten year veteran of the mortgage industry, Lisa welcomes feedback and questions. She can be reached via e-mail at LAlley@fivestarcapital.com or by telephone: (714) 536-9500.